98% of meat in stores is from a feedlot. 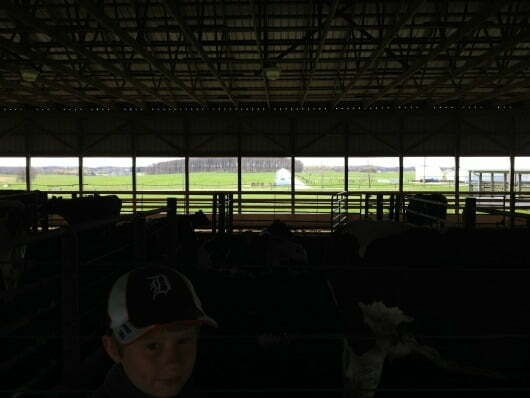 There were 200 cows in the barn we were touring. 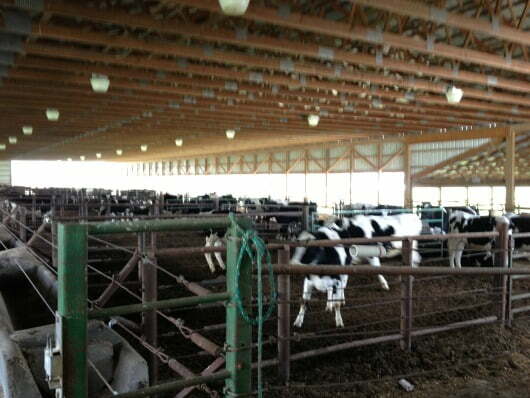 The cows stand on a cement floor with slats, the waste goes underneath and it gets pumped out once a year. He was telling us all of this like it was no big deal! He has a Masters degree, surely he knows how it was done for thousands of years before the past few decades, why wouldn't it occur to them to go back to those methods? Wow. I stood there sort of in shock that he was so casually telling us this stuff. Yes, money is tight for most of us these days, but is our health really worth so little? There are many ways to save on other parts of your budget, but meat is one area I won't skimp on. Just one thought of meat from feedlots (or “mystery meat”) and how this conventional meat is raised makes my skin crawl at the thought of feeding my family that stuff. The animals are often sick from their living conditions, and even if they're not sick (maybe they've been pumped full of antibiotics), they certainly aren't healthy when they're not eating the pasture they were meant to eat, which is loaded with nutrients if the soil is properly cared for. Instead they're eating GMO corn and soybeans and other grains or byproducts, and when they eat that stuff, WE eat more of that stuff and it makes us sick and overweight. However, healthy meat from animals on pasture is not only not terrible for you, it's SO good for you! Joel Salatin calls it, “Salad bar beef”. If they're eating pasture, then WE are eating more vegetables instead of grains. We may not eat meat every single night of the week (check out these delicious and satisfying meatless meals), but we always buy pasture-raised meat from local farms — I also get meat here now and then as they have cuts my local farmer doesn't carry (not to mention their beef tallow for homemade deep-fried heaven!). You should call your farmer to be certain, and make sure to ask how long the animals are on pasture, because as mentioned above, ALL animals start out on pasture. If we couldn't find locally raised safe meat, I'd get healthy meat here. THEN you can watch your budget in other ways. Click here for ideas on how to buy real food on a budget, be sure to see this post too: Eating Healthy Shouldn't Cost an Arm and a Leg. I'm sure there are places that do teach traditional farming (contact the Weston Price Foundation or the Farm to Consumer Legal Defense Fund and they could connect you to such places), but how sad that our large universities don't seem to have a clue! 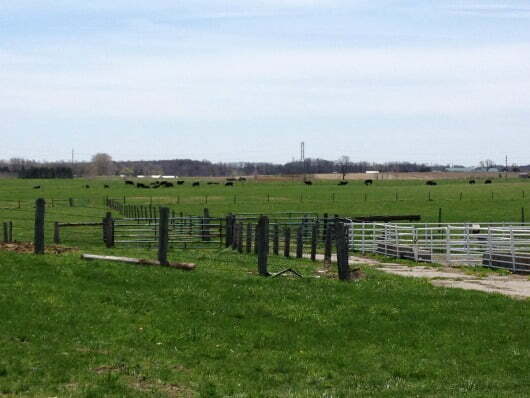 I've got more pictures of our farm tour below, along with a picture of the very first home Kent and I bought just before we got married — since we were in Lansing I took the kids by it. 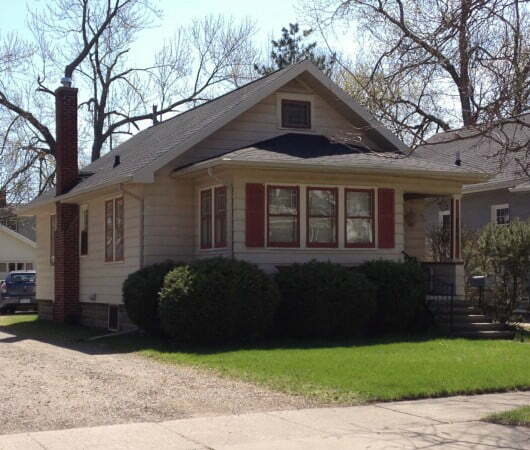 🙂 We lived there for a couple of years before Kent got a new job in Grand Rapids in 1990 and we've been in this area since. We love it here because it's only a little over an hour from our hometown, it's about 40 minutes to Lake Michigan, there are plenty of real food options around, and best of all, we've got many good friends here! How's that for a little off-topic rambling? i work for Michigan State University, we are a Savory Hub. I would like to invite you to come to Lake City(Lake City Research Center) and tour our facilities. We are doing research on grass fed beef and soil carbon. 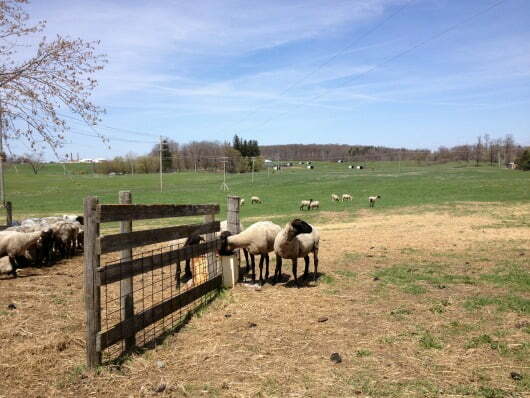 Our animals are pastured 24×7. We represent the other side of Ag, which Michigan State University is totally behind. 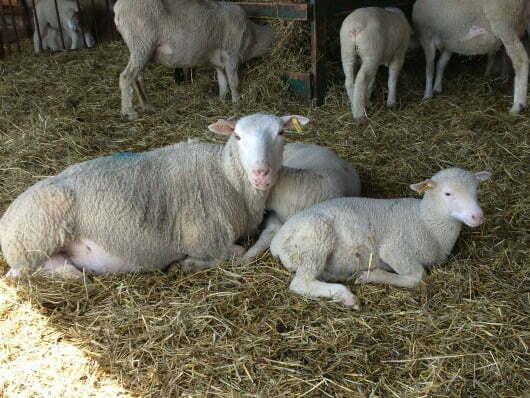 We are doing groundbreaking research in holistic management that is on the forefront of the Savory Institue. Please look us up on the Savory Website or MSU. I have recently heard about this from my good friend Chris Kerston, who tells me that you are doing great things there, and I’m so happy! Did these programs just start in the past year or so? The guy on the farm tour I was on didn’t seem to be aware of it, but I could be wrong! I would like to take you up on your offer at some point, maybe in the spring? If you think that’ll work, I’ll make a note to contact you then. 🙂 I think that what you’re doing will in turn end up getting wonderful things going in this direction throughout our state and it gives me great hope! You talk about the cows being concrete. Yet, the only pictures you show are of dairy cows in a building. It looks like the beef cattle are on grass. 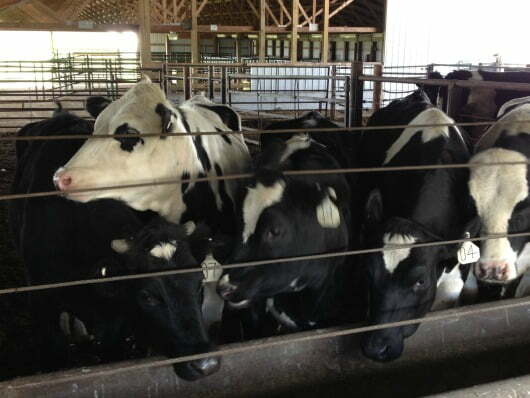 Did you ask WHY they keep the dairy cattle in the barn? Bev, I was there, I saw them on concrete. Yes I did ask them that, and I talked about that in the post, and I also mentioned in the post the few animals that WERE on grass. My child’s grade school class got to tour K-State (Kansas State University) last fall and it wasn’t near as bad as what you went thru. 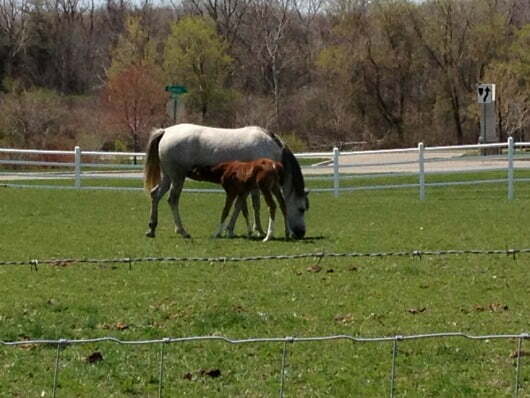 The animals were out on dirt lots, they were moved frequently and had regular if not constant access to grass. Though I understand the reasoning for science and to understand their digestive systems better, the most disturbing part was the few animals that had been selected to have access ports and viewing panes inserted into their sides and digestive systems. This had been done right on campus at their Veterinary center and surgical center. The other thing I had a serious issue with was the lack of conscientious cleaning of some things in the lots. There was the carcass of a still born calf in one of the alley ways next to a pen and close enough for the kids to see and touch if they had wanted to. We were told it had been there for 3 or 4 days, because they only used weekends to clean up and haul off dead animals. 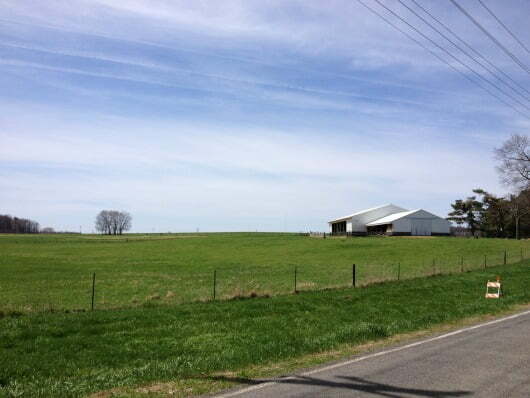 I have lived on a farm a good portion of my life, worked on other farms, I live in a very rural farming community and though I see that sometimes, on what others consider “Lazy farms”, I was displeased to see it at a place of “Higher Thought and Learning” and queried as to why it hadn’t been picked up, knowing that a group of 1st graders was coming through? The answer to my question? “It’s a fact of life they got to learn sometime.” I liked the response my daughter and several of her friends had to the sight. “Poor baby, why haven’t they buried it yet? Can’t they see the momma is upset her baby hasn’t been taken care of? That”s just disrespectful of nature.” I know they don’t bury them, but it didn’t have to be sitting in the alley, between the pens, drawing flies for days. If he had said it happened that morning and would be taken care of as soon as we left, I could have understood a busy morning. 3 or 4 days?? This is Higher Education and Thought. Wow, all of that, WOW. Again, it’s just sad and so WRONG. I relate. I studied Animal Science at Virginia Tech. And while I love my alma mater, the things we were taught were the OPPOSITE of sustainable practices. Confinement operations are the only thing that is taught. Basically, they prepare you to go forth and work for Tyson. Or Smithfield. Or Monsanto. I came from a family farm where NONE of these things were practiced, and so the entire system I saw for every species was completely foreign to me. I’m glad I got to see first-hand what they are teaching this generation about agriculture so I know how to work to change it, but at the same time, these are smart, passionate kids who could really change the system, if only they heard both sides of the story. University agriculture programs have a very, very long way to go… but then again, look at some of the donors and you’ll see exactly why things are the way they are. On a side note MSU is one of the prettiest campuses I’ve ever seen. I always loved my visits over there when I was a 4-H kid. I’m always saddened when I drive through farming areas and see acres and acres of corn and soybeans, and all the dairy cattle confined to a dry lot. I know it comes down to the almighty dollar, but I wonder when people will start making the connection between farming practices and our national poor health. Well, Kelly, very sad for sure. But you KNOW where the $$ comes from for agriculture, right? 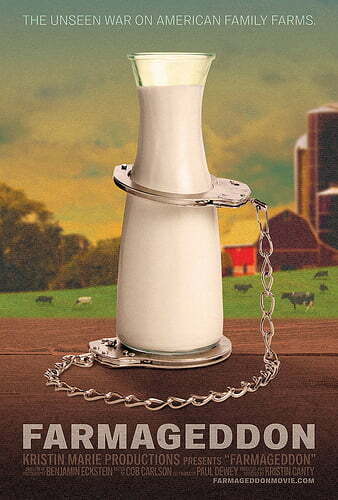 Dairy lobby, wheat lobby, corn lobby… and “wisdom” trickles down from the USDA. How much money could it cost to put those cow out to PASTURE. It’s all right there. UGH! They wouldn’t even have to fertilize. But it’s SOOOO much cheaper to keep beef in a concrete building and pump out the manure??? OMG the fumes. The crazy part of this that stood out the most to me was the guy saying, “people want cheap food.” It’s CRAZY because even though the price at the grocery store is cheaper than organic or pastured meat, it is far more expensive because it has ALREADY been paid for once via taxes for the cattle’s subsidized and horrendously inappropriate GMO feed. That’s why it *seems* cheap. The full cost is hidden from the consumer, who unwittingly pays for the crappy quality meat TWICE! It’s a criminal system. But the cost doesn’t end with tax subsidies and the grocery store price, but continues with environmental destruction and health consequences, but of which are crazy expensive. So, really, that seemingly-cheap meat has at least 3 additional hidden costs. I’m sure there are more, but that means people pay for that stuff at least 4 times. Properly raised food is a bargain in comparison. 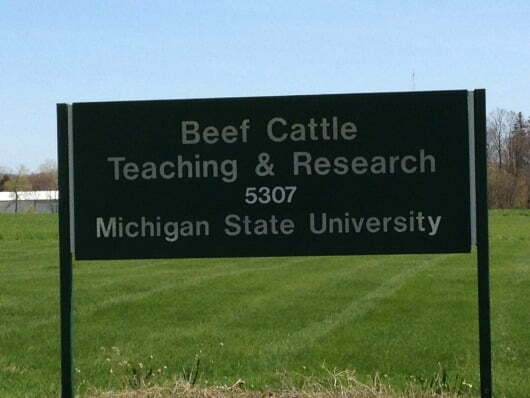 It’s really disappointing to see these universities teaching only feedlot farming. I remember a few years back when my husband and I first coverted to real food and visited a farm that looked on the outside like a real farm. 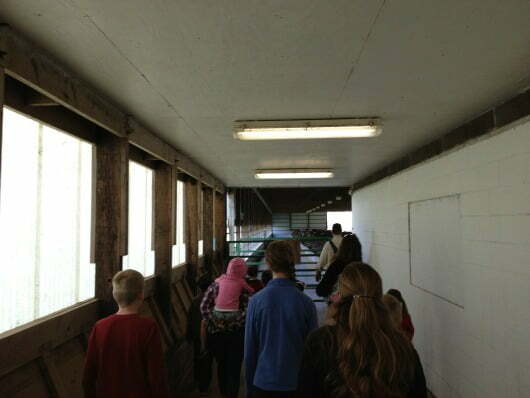 On the tour, we saw the animals were in the barns, on concrete, all day and fed a mix of soy and corn feed. Needless to say, we hightailed it out of there but were pretty disappointed in the whole thing. Finding meat is actually very difficult for my family. Because we try to eat meat that is organic and given a good life and we are bound by our religion to eat Kosher, it’s hard to find meat that is both Kosher *and* organic. There are no farms by us that do the Kosher slaughter so while they do everything else right, the animal is still not given a Kosher death, so we can’t eat it. We’ve been having to order all our meat from Grow & Behold Foods up in NY. Given the fact that we live in Virginia and we’re having meat shipped so far, it’s not ideal, but it’s the best we have right now to ensure our family is eating both ethically raised and slaughtered meat. I wish the Orthodox Union would just pull their support for the factory farmed meat, it would really make some changes then. Kelly, a really great organization that helps to train farmers and ranchers in holistic/sustainable methods is Holistic Management International. See https://holisticmanagement.org. The Savory Institute, where our friend Chris Kerston works, does a fantastic job training farmers and teaching how animals can help save the environment and sequester carbon in the ground through proper grazing. They just had a big conference in London that had attendees from around the world. They’ve been particularly active in Africa but they have Savory Institute Hubs around the world. See https://www.savoryinstitute.com. I also tell people to read up on Joel Salatin and the groundbreaking work of Polyface Farms. Through his books, DVDs, YouTubes and lectures around the country, Joel has inspired a new generation of sustainable farmers who build on the old but take advantage of every modern convenience that helps his mission of healing the land. See https://www.polyfacefarms.com. Those three will take a person a long ways towards understanding a better way to farm. Thanks for the great resources Jeanmarie!! You’re right, but I found it on the WAPF site and fixed the link, thanks for letting me know! It’s sad. I’m reminded of an idea from John Michael Greer (who writes about peak oil and its consequences). He identified an idea in our culture, the myth of progress vs. apocalypse. I can see it in the people in this program. It’s as though not finding something “new” or “groundbreaking” and regressing to older models is a sign of failure, and thus an apocalypse. Sad really. The land and the animals know what they’re doing and don’t always need us tinkering to make things more revolutionary. Sad is a good word for it!